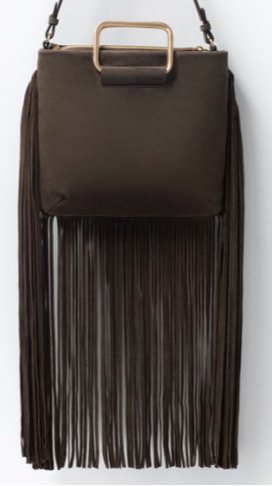 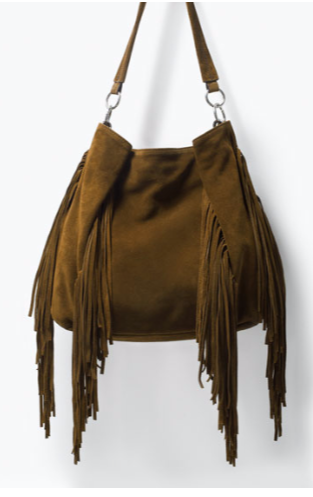 Fringes, fringes, fringes! 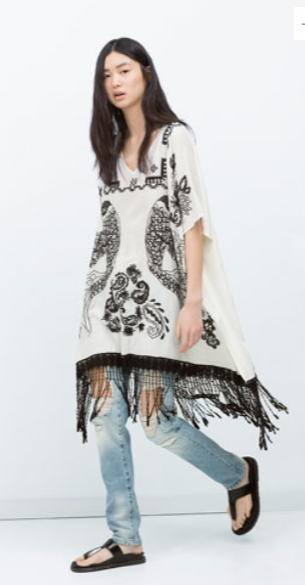 I completely fall in love with these clothes by Zara new collections. 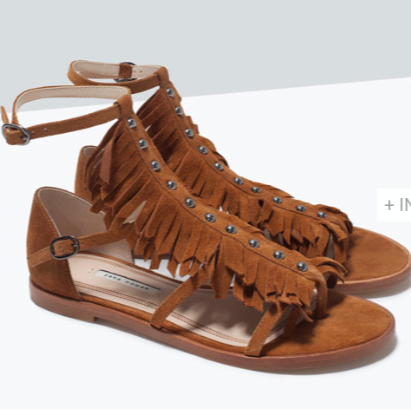 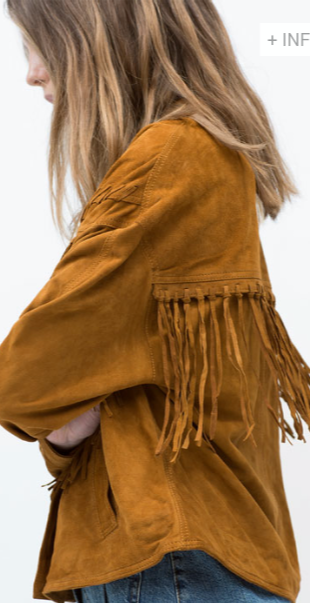 Jackets, shirts, shoes and accessories, they are all full of fringe details! 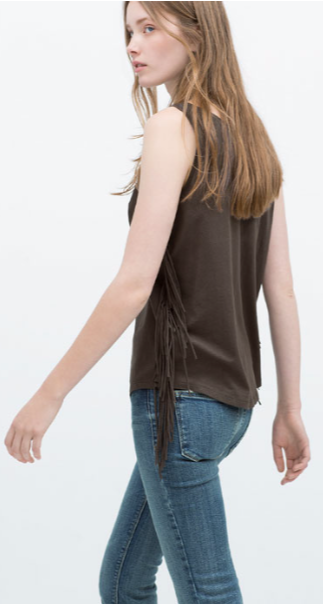 Brown tones, suede fabrics and ethnic patterns completed by basic tee and jeans.